Tom Donovan, one of the last of the major live dramatic anthology directors, died on October 27 at the age of 89. Donovan directed at least two fondly remembered classics from the early television drama. One of them, “The Night America Trembled,” was a Studio One that told the story behind Orson Welles’s infamous 1938 War of the Worlds radio broadcast. Golden-voiced Alexander Scourby played Welles, and the huge cast included unknowns such as Ed Asner (as “third reporter”), Warren Beatty (“first card player”), Warren Oates (“second card player”), and John Astin (not even credited, as another reporter). “Night,” which has appeared on various DVD releases of dubious legitimacy, feels a bit creaky today – there’s no heart amid all the bustle. But “Button, Button,” a famous episode of Way Out, remains vivid in the memories of many who saw its original broadcast, and it still works brilliantly today. A prelude to Sidney Lumet’s Fail-Safe, “Button, Button” takes place entirely in an underground military bunker, where a nervous officer (Tim O’Connor) must decide whether to launch a retaliatory nuclear strike after all outside communications abruptly cease. In keeping with Way Out’s supernatural theme, there is a character named Sergeant Gee (Warren Finnerty), a new recruit who knows far too much about the men in the bunker and who offers every argument in favor of pressing the button. Is Gee just a warmongering hillbilly, or is he perhaps an agent of something much more sinister? The ambiguity remains at the conclusion. Every element of Donovan’s direction maximizes the viewer’s nuke-paranoid anxiety, not only the claustrophobic staging but also the clever contrast in acting styles between the solid, reassuring O’Connor and the wild-eyed, wheedling Finnerty. Beginning his career as a stage manager and bit player on Broadway in the late forties, Donovan transitioned into television with a meager staff job at CBS. “I was offered $20 a day, on call, with no guarantee of days to be worked,” Donovan said in an interview for the Directors Guild of America. “Joe Papp, a fellow stage manager at the time, described the four steps of promotion at CBS: stage manager, assistant director, director, and out.” Essentially, Donovan matriculated as predicted, remaining at CBS for nine years and spending much of that time as an associate director. 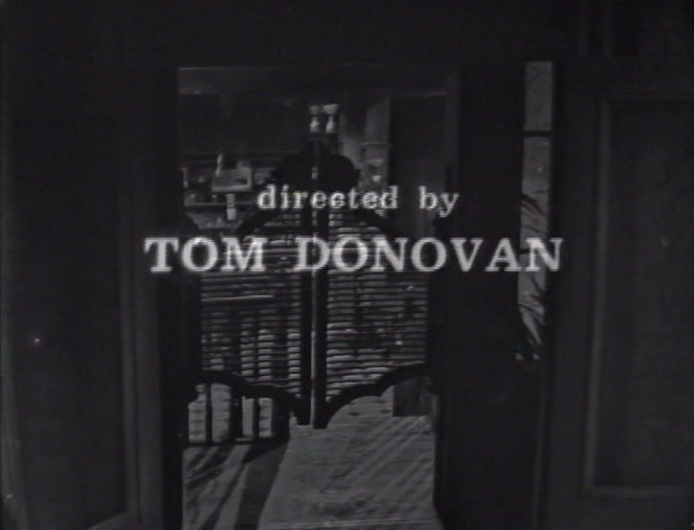 Though he may have directed for Danger and other CBS programs as early as 1954, Donovan’s first significant work as a director came on the prestigious anthology Studio One during its final two years (1956-1958) on the air. Donovan was also in the directing rotation on The United States Steel Hour during its vestigial years (1960-1963), during which time that series came to enjoy the distinction of being the last prime-time show to be broadcast live on a regular basis. (It, too, had gone to tape by the end.) In the meantime Donovan helmed a few series episodes – for Hawk and N.Y.P.D. – but was in greater demand as a director of live and videotaped dramatic specials. Among those specials were: a musical version of “The Bells of St. Mary’s” (1959), with Claudette Colbert; a remake of “Ninotchka” (1960); a take on “The Three Musketeers” that starred Maximilian Schell and Vincent Price; a production of Hemingway’s “The Killers” (1960) in which boxer Ingemar Johanssen was recruited to play Swede (“his movements were unnatural and indicated that . . . Donovan had overcoached him,” wrote one reviewer); “The Man Who Knew Tomorrow” (1960), a fantasy for U.S. Steel with Cliff Robertson as a writer whose characters come to life; “The Dispossessed” (1961), a liberal drama in which the black actor Juano Hernandez played Native American leader Chief Standing Bear; “The Law and Lee Harvey Oswald” (1963), a panel discussion about the Kennedy assassination; the football-themed “A Punt, a Pass, and a Prayer” (1968), one of the first contemporary, original dramas done on The Hallmark Hall of Fame; and “The Choice” (1969), a David Susskind-produced drama for Prudential’s On Stage about the moral implications of the then-new technology of heart transplantation. “I had a few turkeys, but most of the stuff I was pretty proud of,” Donovan recalled. If the list above does not speak for itself, here is another one, which may imply that Donovan enjoyed a reputation as an actor’s director. These are some of the performers he worked with in one-off television productions, all of them armed with enough clout to choose their material and their directors: Edward R. Murrow (in “The Night the World Trembled”); Jackie Gleason (in Donovan’s only Playhouse 90, a 1958 adaptation of William Saroyan’s “The Time of Your Life”) and Art Carney (in two taped dramas from the mid-sixties); Helen Hayes and Patty Duke (in a 1958 Christmas episode of U.S. Steel); Edward G. Robinson, in “The Devil and Daniel Webster” (1960); Henny Youngman (in a 1961 U.S. Steel); Alfred Lunt and Lynn Fontanne, headlining the final U.S. Steel in 1963; and Richard Burton (in Donovan’s lone feature, Lovespell). That’s not to mention the many young actors Donovan helped to bring along, including Gene Hackman (in at least two U.S. Steel Hours, the earliest in 1959), Richard Harris (in 1958’s “The Hasty Heart”), and Jill Clayburgh (in “The Choice”). Like David Pressman, who died in August and whose career somewhat parallels his, Donovan faced a choice in the mid-sixties: either move to Los Angeles or move into soap operas, which were virtually the only dramatic programming originating out of New York. Donovan chose the latter. He became, in 1964, the original director of the long-running Another World, and also originated Our Private World, a short-lived prime-time spin-off of As the World Turns that tried to cash in on the Peyton Place craze. Eventually producing as well, Donovan spent nearly four decades in soaps, during which time he passed through Love Is a Many-Splendored Thing, Hidden Faces, A World Apart, Where the Heart Is, Ryan’s Hope, and General Hospital. Robert Collins, who died on October 21 at the age of 81, was an Emmy-nominated writer, director, and producer. He was perhaps best known as the creator of Police Woman. Police Woman was a more commercial spin-off of Police Story, the acclaimed anthology of cop tales that became one of the most unanticipated outliers of quality television in the seventies. Collins was one of that show’s first and most valued writers. “He just can’t miss. Every Collins script is off-beat, right-on, and sparkling,” wrote Police Story creator Joseph Wambaugh in a memo to the producers. The most famous of those sparklers was probably “Wyatt Earp Syndrome,” a well-researched look at a peculiar psychological phenomenon whereby beat cops, in their fourth or fifth year on patrol, grow restless and begin to take chances and initiate confrontations. The only compromise in Collins’s script was the title: the actual term among police was the John Wayne Syndrome, but legal squeamishness compelled a silly change. Collins was past thirty-five when he came to prominence as a writer (television may have been a second career). Immediately in demand after debuting on The Invaders, Collins moved on to The Name of the Game, Dan August, Cannon, Mod Squad, Sarge, and The Sixth Sense. Prior to Police Story, he did his best work on a pair of medical dramas. For The Bold Ones, Collins wrote “A Nation of Human Pincushions,” which wondered whether acupuncturists were healers or quacks, and “A Standard of Manhood,” a moving story of male impotence. Collins also wrote two of my favorite Marcus Welbys: “Fun and Games and Michael Ambrose,” about a diabetic teenager and his seemingly uncaring father (John McMartin), and “Another Buckle For Wesley Hill,” which guest starred the great, underrated Glenn Corbett as a physically active man who must accept that illness will curtail his independence. I’m pretty sure that “Another Buckle,” in late 1970, marked Collins’s directorial debut. While he continued to work as both a writer and director for hire, Collins was able to direct his own material on Welby, The Sixth Sense, Police Story, Medical Story, and possibly other shows. The roving hyphenate – that is, a freelancer who is able to both write and direct for a series without also being its producer – was and remains rare in episodic television, which isolates direction from story more decisively than filmmaking does. Douglas Heyes (Maverick; The Bold Ones) and Montgomery Pittman (77 Sunset Strip; The Twilight Zone) are the only two writer-directors I can think of who managed this trick for a large stretch of their careers, and being in their company is a feat I perhaps admire more than some of Collins’s more obvious accomplishments. Via his telefilm scripts, Collins also co-created the trucker drama Movin’ On and developed the short-lived Serpico for television (David Birney was no Al Pacino), but as with Police Woman both were handed off to others once they went into production. His Police Story plaudits launched Collins into the realm of made-for-television movies, where all the brightest TV talents went in the seventies, and he focused on biopics and current events stories: J. Edgar Hoover, The Life and Assassination of the Kingfish, The Hijacking of the Achille Lauro. “Gideon’s Trumpet,” a Hallmark Hall of Fame about a famous Supreme Court case and one of Henry Fonda’s final starring roles, was Collins’s best-known longform. He also directed two undistinguished theatrical features, 1979’s Walk Proud and then Savage Harvest two years later. The glory days of the trade paper obituary, in which an issue of the weekly Variety might fill two or three full pages with lengthy death notices, are long gone. These days, if the family remembers to send over a press release, it might get uploaded to the trades’ websites – usually with any spelling and factual errors intact. For Robert Collins, The Hollywood Reporter added a few details to a paid death notice that ran in the Los Angeles Times. For Tom Donovan, Variety padded a DGA press release, which properly enumerated Donovan’s Guild service but neglected his creative work, with a few details gleaned from the on-line sources. (Note how tentatively the obit recounts his credits: “episodes of” Danger and General Hospital and Another World on this or that date, because the Internet Movie Database cherry-picks these credits, and the reporter can’t be bothered to do the research that would fill in the gaps and emphasize the most important work.) And once upon a time, Donovan and Collins would surely have merited mention in the New York Times and the Los Angeles Times, respectively. But both of those publications have become increasingly indifferent to entertainment industry deaths. The assumption, I guess, is that it’s up to the unpaid citizen journalists to cover this beat now – but I’m not sure that’s happening in practice. Although Tom Donovan recorded an oral history for the Directors Guild of America, he was missed by some of the other major outlets who do that kind of work, including the Archive of American Television and (regrettably) myself. 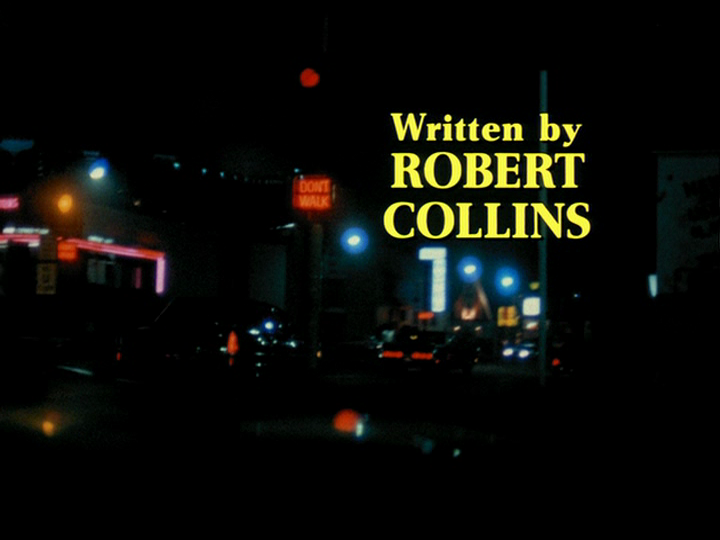 As far as I know, no major interview has been published with Robert Collins, who may be in part the victim of a very common name; as of this writing the Internet Movie Database, for instance, has his date of birth and middle initial wrong, although at least most of the credits it attributes to Collins are actually his. But it doesn’t help that the seventies remain something of a historical ghetto for television, at least apart from the Norman Lear and MTM sitcoms. No one that I know of is doing substantial work on the best dramatic series of that decade – almost all of which were short-lived and underrated – and although the golden age of the made-for-television movie has a devoted cult following, all but a few of the films themselves remain maddeningly out of circulation, an rights-tangled marketing nightmare that no DVD label (save the Warner Archive) has attempted. I’m just discovering them myself, and not in time. Sources include Ann Farmer’s Spring 2008 DGA Quarterly profile of Donovan, and The Encyclopedia of Television Directors, Volume 1 (Scarecrow, 2009) by Jerry Roberts. The Wambaugh quote is from Tom Stempel’s Storytellers to the Nation: A History of American Television (Syracuse UP, 1992). Regarding Robert Collins, it’s interesting he couldn’t use John Wayne’s name in the title of what became “The Wyatt Earp Syndrome”, yet in a POLICE STORY episode that aired prior, the phrase “John Wayne Syndrome” was specifically used in the body of the story. Did this other usage slip by Mr. Wayne (and/or his associates), or was there an objection to using the phrase as a title of a script? It is very sad that these men could not merit a proper mention in the media (Entertainment Weekly is also guilty of this as well)-these men contributed to television in big ways. One would also think that the soap opera media (Soap Opera Digest and the like) would have an obit for Tom Donovan as well, since he contributed so much to that genre as a director. In any case, at least we have you and your lengthy obits, Stephen, to remember them by. “Button, Button” is a fantastic episode of Way Out – I was fortunate enough to have seen that at the MOTR last year. It’s too bad there isn’t a “DVD release of dubious legitimacy” of that Way Out episode. Thank you for your kind words regarding my father. Prior to writing, he was an assistant editor at Universal. I was fortunate enough to work with him on several of his projects. He was truly an auteur. The only writer-director I’ve ever worked with who could envision how the film would cut together while writing and then directing; perfect for hectic episodic TV. Under your Tom Donovan obit, I noticed that you referenced his work on “The Law and Lee Harvey Oswald”. I’m curious; how did you find this reference? IMDB doesn’t list this show and most Kennedy researchers are unaware of its existence. If you can cite your source material, I would appreciate it. Thanks! Apart from the source notes at the end, I can’t recall at this point. Sorry!